Hamish Henderson trials the Vemico budget Action Cam out motorbiking and sword fighting. Let's see how he got on! 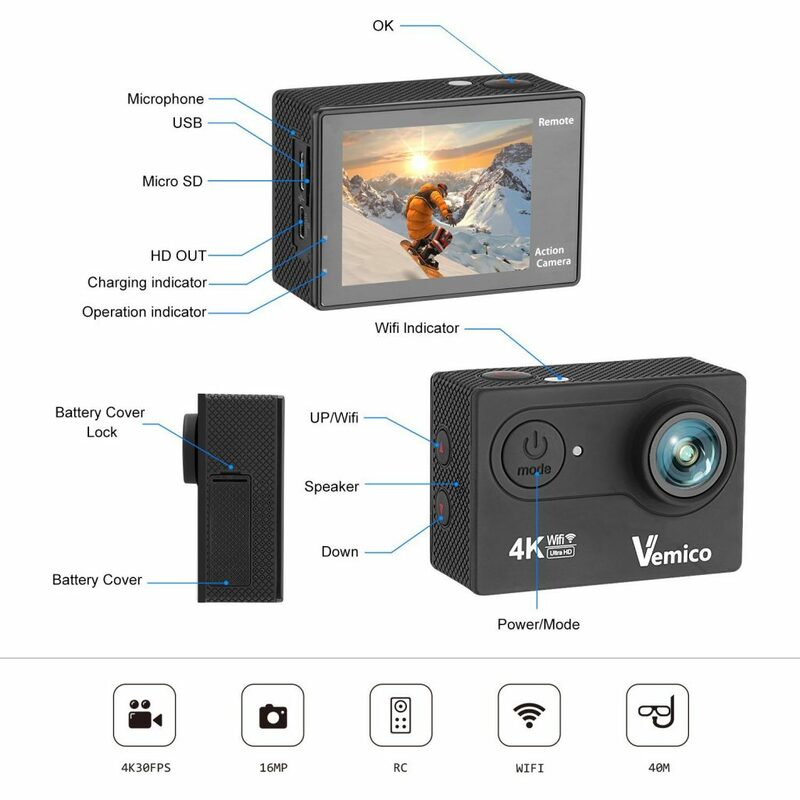 The Vemico Waterproof Action Cam is currently available on Amazon for £59.99. It offers wifi transfer, HD 1080p video, a 170degree wide-angle lens and comes in a waterproof casing, allowing it to be used during all weather, or even underwater. Images are taken at 16MP resolution, and the images or video are viewable on the LCD screen. 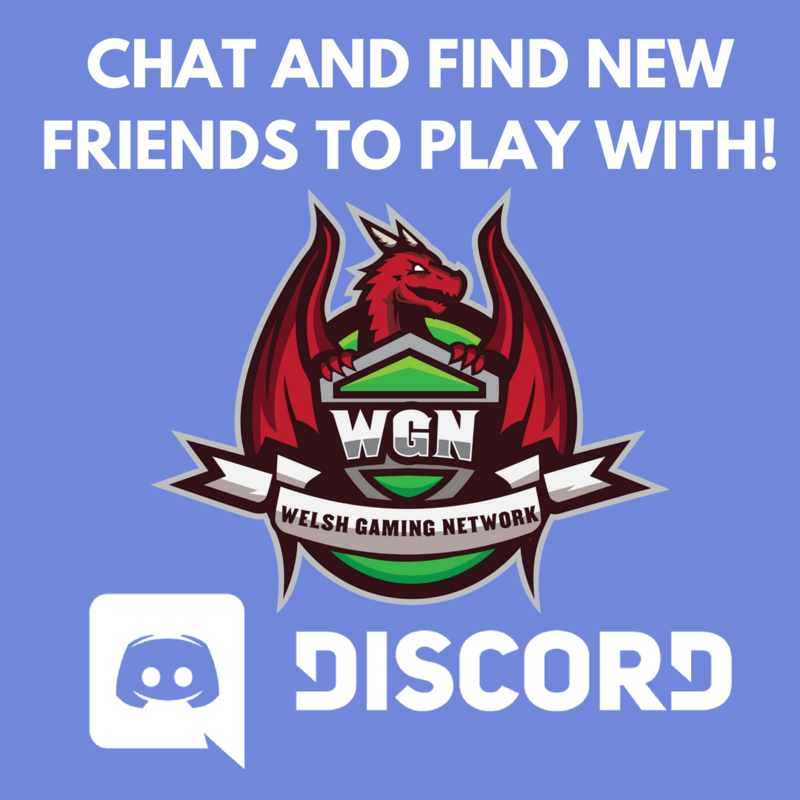 The Welsh Gaming Network was provided with a free camera for the purpose of this review, and Hamish Henderson stepped up to the task with his motorbike. 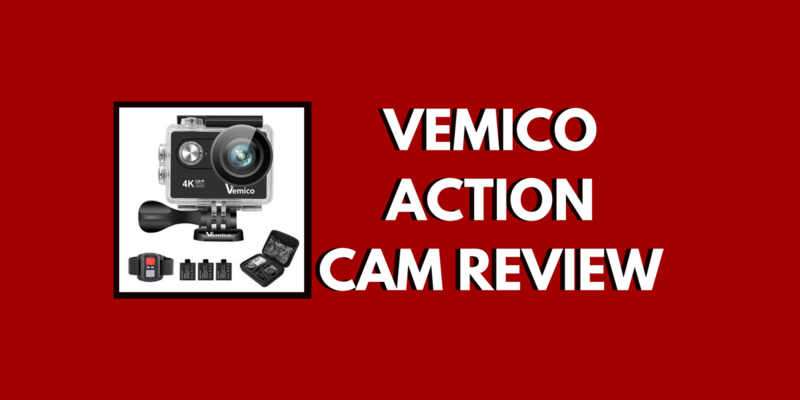 The Vemico action cam, is a 4k budget Go-Pro. For anyone that tends to use one, it’s definitely worth investing in as it’s rigid enough to go through full contact sword fighting and rain on a motorbike! Upon receiving the item I noticed it can use pretty much anything that a Go-Pro can accessory wise. Which is quite handy as it meant shopping for accessories was easy. The camera itself has 3 different settings. All three do exactly as you’d think. I tend to use the 720p setting for riding as it makes sure it catches everything at 60FPS. I’ve always found 30FPS a little blurry. 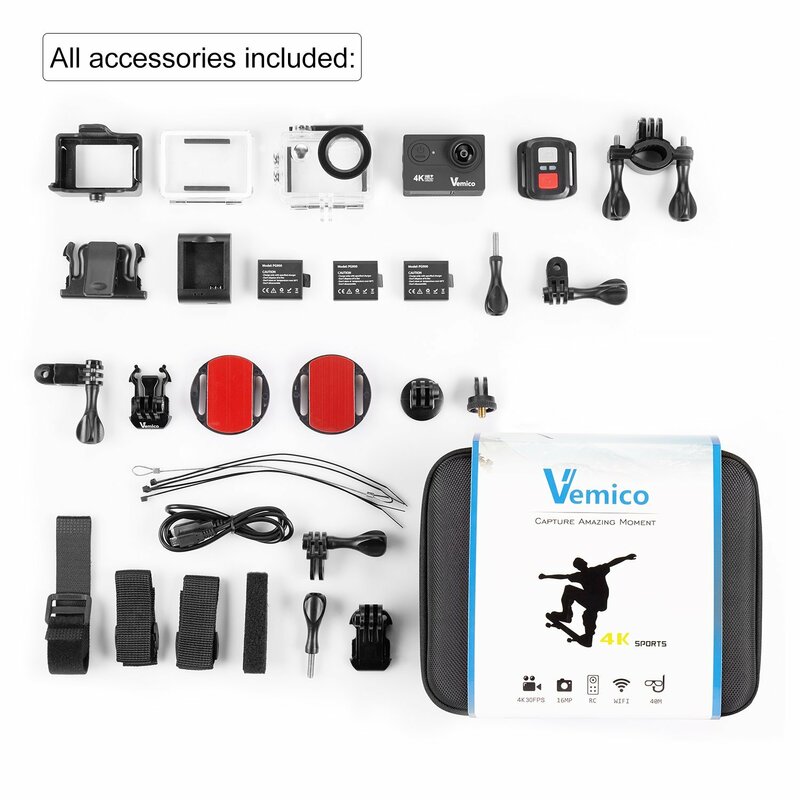 The product comes with quite a lot of accessories, from additional straps to the bars to make them lock onto a bicycle or motorbike handlebars the amount of extra stuff that came was definitely a bonus and quite a surprise for the price. If you want to start taking action video seriously, the Go Pro HERO5 Action Camera offers some amazing quality video and features. 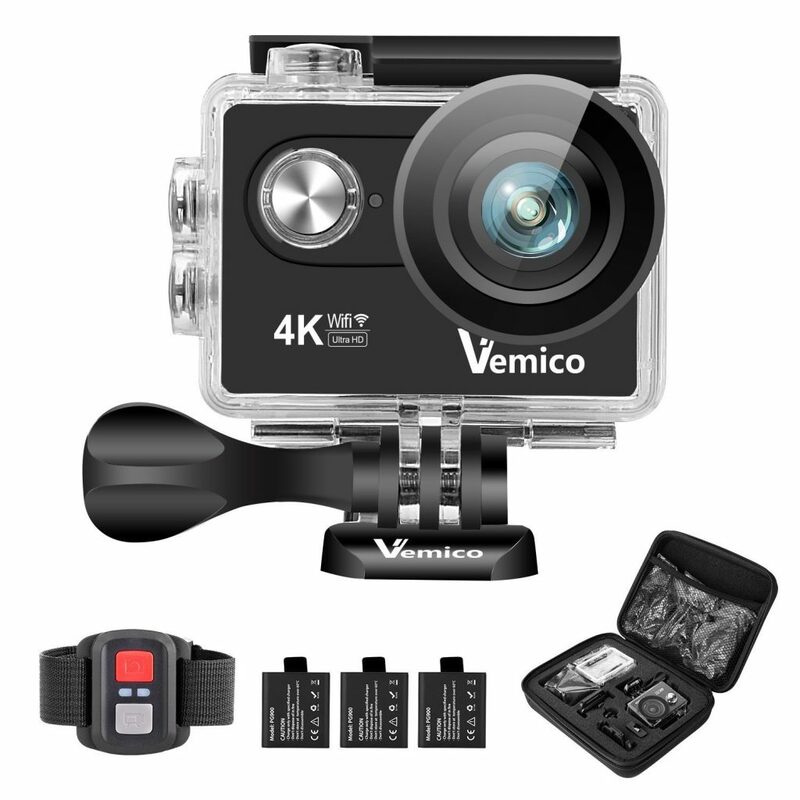 The main difference of course is that a Go Pro will set you back between £150 and £300, so a budget action cam like the Vemico might be a good starter camera for someone looking to test the water or record occasional footage.